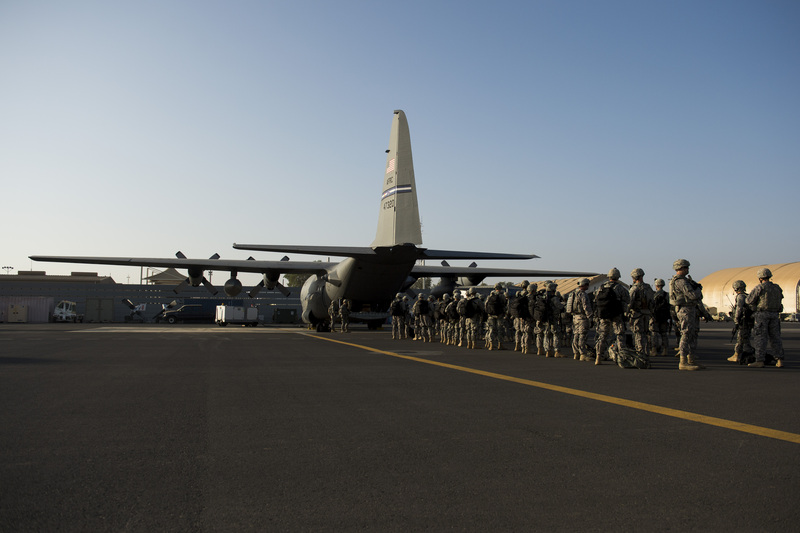 Last month, US Army Africa (USARAF) led the annual Western Accord Exercise in Dakar, Senegal. Marines from Company I, 3rd Battalion, 23rd Marine Regiment also joined Army soldiers for the event. Western Accord 14 centered around developing partner abilities to plan, deploy, employ, sustain, and redeploy a rapid deployment force in response to a regional crisis. 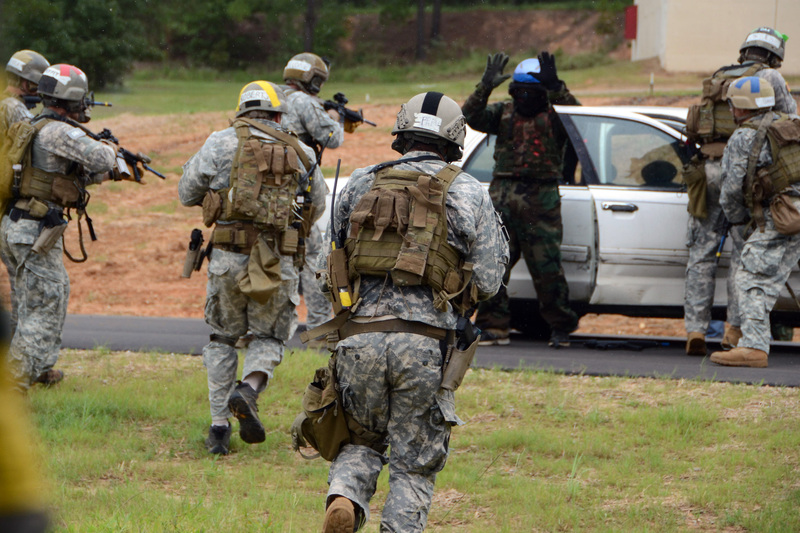 Senegalese troops train with US forces during Western Accord 14 in June 2014. Western Accord is designed to enhance American military partnerships with the Economic Community of West African States (ECOWAS). There are currently fifteen ECOWAS members: Benin, Burkina Faso, Cabo Verde, Côte d’Ivoire, Gambia, Ghana, Guinea, Guinea Bissau, Liberia, Mali, Niger, Nigeria, Senegal, Sierra Leone, and Togo. Gambia and Guinea Bissau did not participate in Western Accord 14. Forces from France and the Netherlands. Representatives of the United Nations were also present at the exercise. Western Accord 14 was the first iteration of the exercise to incorporate UN personnel and non-governmental organizations to better simulate complex peacekeeping operations in the region. 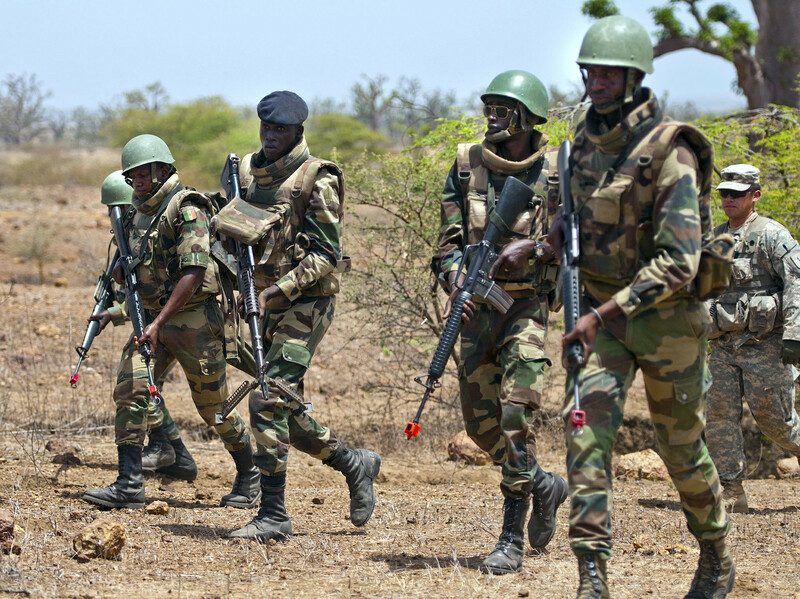 ECOWAS members such as Nigeria are regular contributors to UN and African Union peacekeeping efforts across the continent and around the world. In addition, this particular training event is part of a series of exercises run every year by USARAF. The other exercises in the series include Northern Accord, Southern Accord, and Eastern Accord. Also, a regular exercise in central Africa, focusing on airdrop capabilities, was renamed Central Accord this year, bringing it in line with the rest of the Accord Series exercises. Last week, Reuters reported that rotations of military advisors have been deploying to Somalia since at least 2007. The news agency quoted anonymous US government officials. These revelations come after the Pentagon admitted to a formal advisory mission at the beginning of the year. The official statement was that only three military personnel were in Moghadishu and had been there since October 2013, when they had established a Military Coordination Cell to liaise with Somali authorities and the African Union Mission in Somalia (AMISOM). 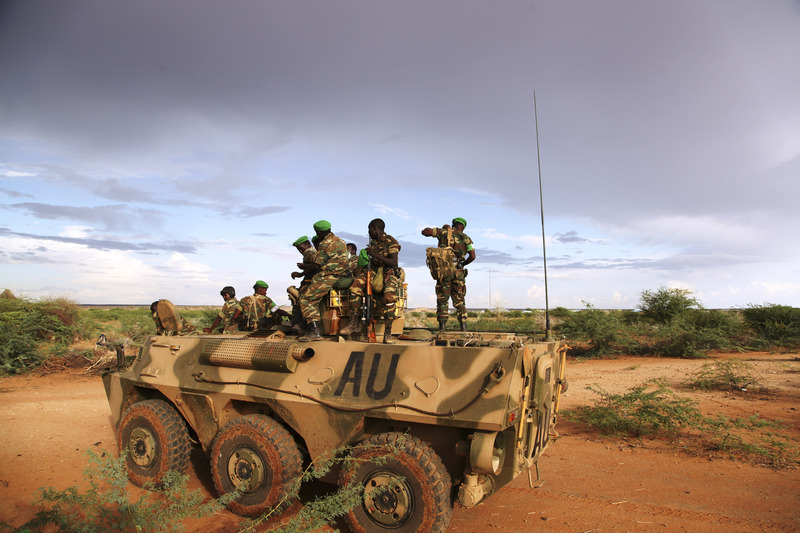 AMISOM troops stand on top of a WZ551 armored personnel carrier on the outskirts of Burubow in the Gedo region of Somalia in March 2014, shortly after it was liberated from Al Shabaab control. These newly uncovered deployments consisted of up to one hundred and twenty special operations forces at a time and were timed to provide a persistent presence, according to Reuters. If these details are correct, these special operators might have participated in the targeting process for a string of air strikes and drone attacks, as well as various commando raids since 2007. US Africa Command (AFRICOM), which is currently responsible for operations in Somalia, disputed this, saying that the deployments were smaller and apparently only for specific missions. The Central Intelligence Agency was largely believed to be in charge of US supported paramilitary activity inside of Somalia until recently. It appears that the Special Operations Command (SOCOM), and specifically the secretive Joint Special Operations Command (JSOC), may have also been directly involved in this covert effort. The Pentagon and AFRICOM have also clearly stepped up their overt activities in the restive east African nation since the beginning of 2013. AFRICOM has declined requests to elaborate on these missions beyond saying they are working closely with the Somali government and other African partners to combat the militant group Al Shabaab. Al Shabaab came into existence in 2007 after Ethiopian troops and Somali militia routed the Islamic Courts Union (ICU), a fundamentalist Islamist organization that had taken control of significant portions of the country. Al Shabaab, formed from the remnants of the ICU’s military wing, has continued to fight pro-government forces and international peacekeepers, now operating under the AMISOM title. Al Shabaab assassinated Somali parliamentarian Ahmed Mohamud ‘Hayd’ just last week and killed four people with a car bomb outside the parliament building in Mogadishu yesterday. These attacks are simply the latest in a string of increasingly aggressive responses to AMISOM’s latest offensive. The situation in the country remains complex and fluid. Libya appears to be teetering on the brink of a new civil war three years after an international intervention helped rebels topple Moammar Gadhafi. Since then, the country’s new authorities have been unable assert its authority and demobilize various independent militias. These armed groups have openly challenged the government on numerous occasions, kidnapping domestic and foreign officials and attempting to sell oil from their own personal fiefdoms. 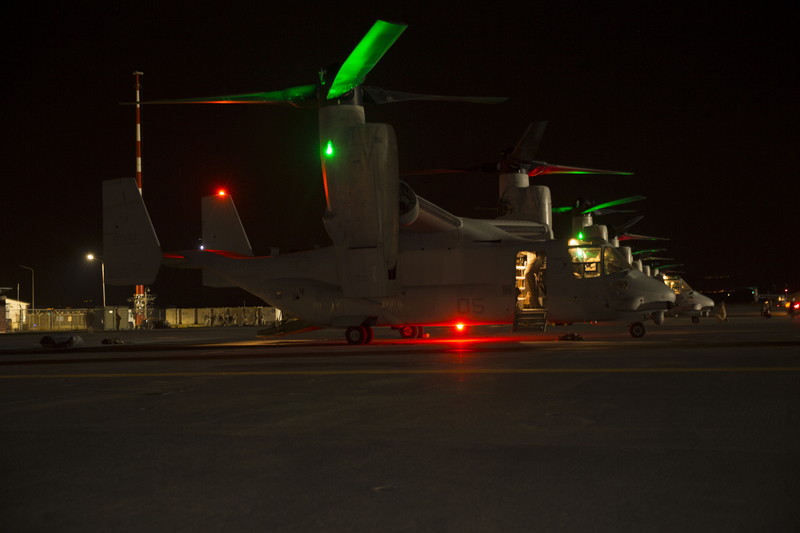 The US sent 200 Marines from Special Purpose Marine Air Ground Task Force – Crisis Response (SPMAGTF-CR) to Italy last week as this recent crisis began to unfold. Today it was reported that additional aircraft were deployed to bolster the force at Naval Air Station Sigonella. 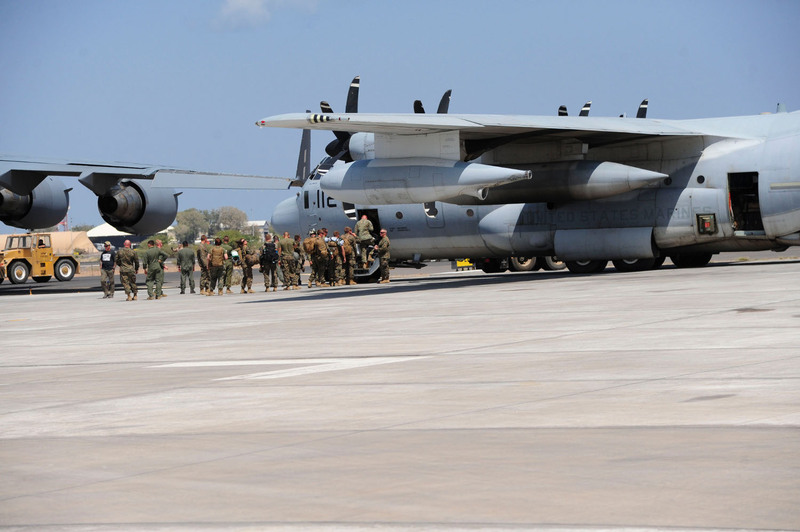 The Marines could use their MV-22B Ospreys and KC-130J Hercules aircraft to evacuate Americans from the embassy in Tripoli and elsewhere in the country. SPMAGTF-CR was created last year after the infamous attack on the US consulate in Benghazi in 2012. The Marines’ focus is on being able to rapidly assist American diplomatic facilities in hotspots and evacuate personnel to safety. I wrote a longer piece about the Marines’ initial deployment for War is Boring. The US may have also been keeping an eye on Libya with manned or unmanned aircraft, including drones launched from a recently constructed facility in Niger. I have also just written a piece on Niger’s increasing importance in the region, which will only increase if Libya continues to be unstable. This new crisis reached a head when forces reportedly loyal to General Khalifa Hifter attacked the seat of parliament. Hifter, who had lived in exile in the United States until Gadhafi’s ouster, claims he is trying to rid the country of the Muslim Brotherhood, who he accuses of being a puppet of the large international organization. Islamist political parties came to power earlier this year. The country’s previous prime minister Ali Zidan resigned in March and then his interim successor Abdullah al-Thinni, who had been defense minister, resigned in April. Libya’s Muslim Brotherhood party has in turn accused Hifter of being a reactionary in league with former members of Gadhafi regime. The conflicting ideologies and the open violence are indicative of the trouble Libya has had in finding common ground after Gadhafi’s departure. The country’s various factions appear to be choosing sides for a broader conflict, but this does not necessarily mean those alliances will have any lasting effect. Al Qaeda aligned groups have vowed to fight Hifter’s forces, but may not necessarily join with forces aligned with the Muslim Brotherhood. This latest crisis has already caused delays in international efforts to try and develop a professional and objective national security force for Libya that could wrest control away from the largely autonomous militias. Libya’s international partners may also find their allegiances split. Saudi Arabia, the United Arab Emirates, and Algeria have all shut down their embassies. American Marines in Italy could conduct their own evacuation mission at any time. This year’s annual Phoenix Express maritime security exercise has kicked off in Greece. Naval forces from Algeria, Croatia, Greece, Italy, Libya, Malta, Morocco, Tunisia, Turkey, and the United States are currently conducting the in-port portion of the exercise at the NATO Maritime Interdiction Operational Training Centre (NMIOTC) on Souda Naval Base, near the city of Chania. 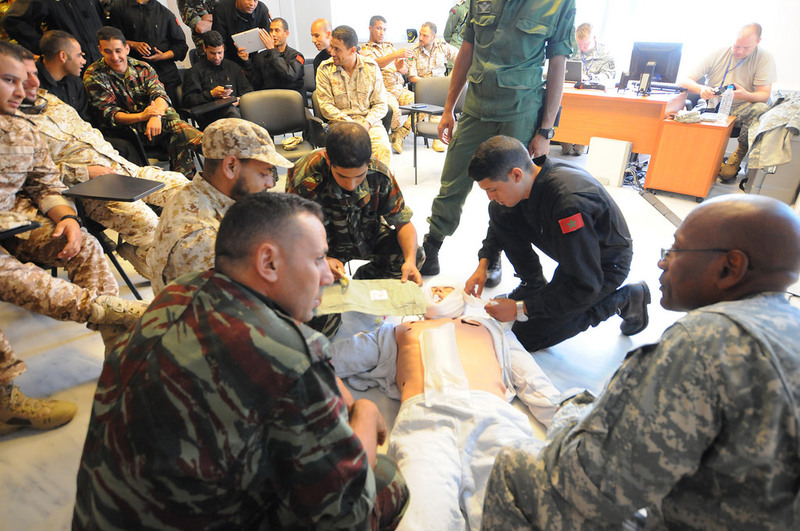 Moroccan and Libyan personnel conduct medical training with the US military at the NATO Maritime Interdiction Operational Training Centre in Greece during Phoenix Express 14. Six of the ten participants this year are European nations, if one includes Malta. The island nation is a member of the European Union, but is just over 200 miles from Libya and less than 200 miles from Tunisia. Phoenix Express’ focus on the Mediterranean Sea means that European nations regularly outnumber African participants in the exercise. There are only five African nations on the Sea compared to more than twice as many European nations. However, European participation also highlights how important African security is to the bigger picture in the region, especially with regards to drug trafficking and illegal immigration. The continuing instability in Libya is particularly worrisome for nations in Southern Europe. France, Italy, and Greece have repeatedly sparred over how best to tackle the issue. As already mentioned, Greece is hosting the in-port phase of the exercise. The at-sea phase, scheduled to begin on May 24th, will be coordinated from a Combined Maritime Operations Center in Sigonella, Italy. France, who is currently engaged in a number of interventions in Africa, is conspicuously absent from this year’s exercise despite having participated in the past. As usual, this year’s Phoenix Express exercise will focus on maritime interdiction operations (MIO) training. The training events in-port will include helicopter operations and safety, damage control and firefighting, deck seamanship, navigation, search and rescue (SAR), and small boat training. The underway component at sea will focus on further enhancing interoperability. Medical training will also be provided. The exercise is scheduled to wrap up on June 2nd. Phoenix Express 14 will mark the eighth iteration of the exercise, which began in 2005 as a US European Command event run by US Naval Forces Europe (NAVFOREUR). After the creation of US Africa Command (AFRICOM) in 2008, the exercise changed hands and is now run by US Naval Forces Africa (NAVFORAF). The commander of NAVFORAF is dual-hatted as the commander of NAVFOREUR, making the change in responsibility in this case almost entirely administrative.